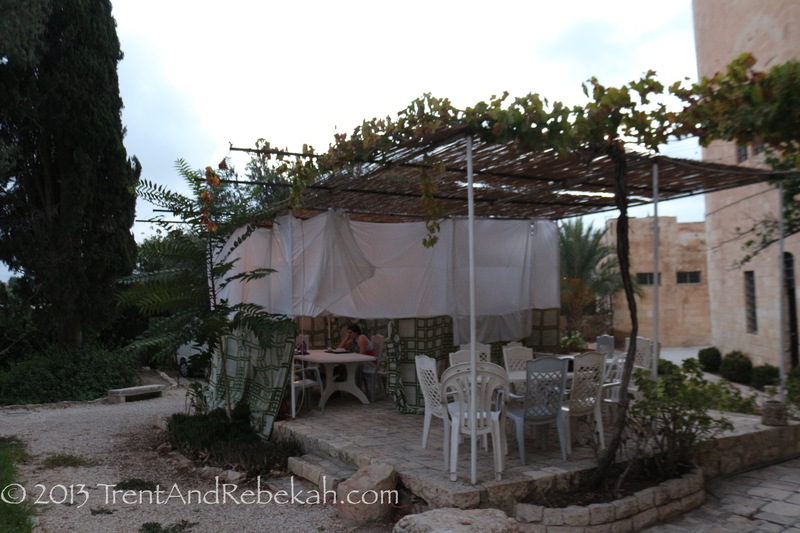 We have been in Jerusalem a little over a week now. The first half of this time was spent using Jerusalem as a base for exploring areas of the Shephelah and slightly beyond. The past few days we have been in the Old City, exploring all its “nooks and crannies” (and wow, are there a lot of them). 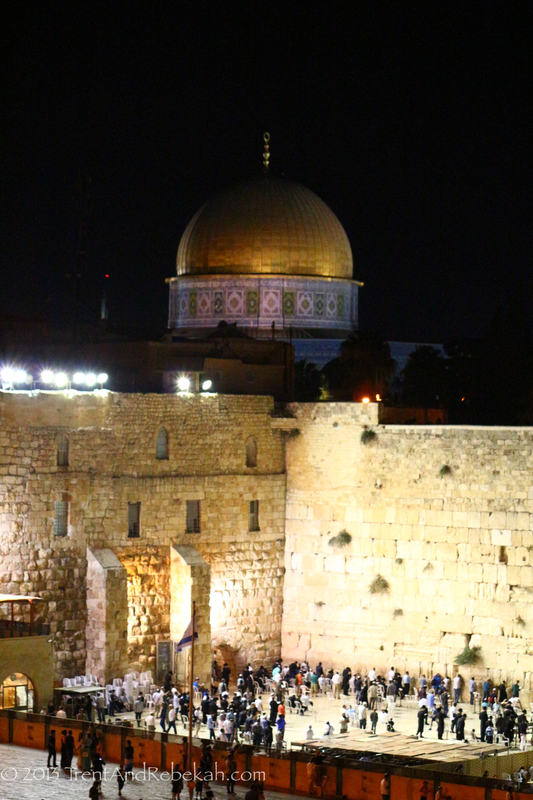 This shot was taken a few nights ago of the Western Wall and Dome of the Rock together. This view is interesting in having two iconic holy sites, one for Judaism (the wall), and one for Islam (the dome), so close together. The contents of the dome also have significance for both of them, as well. 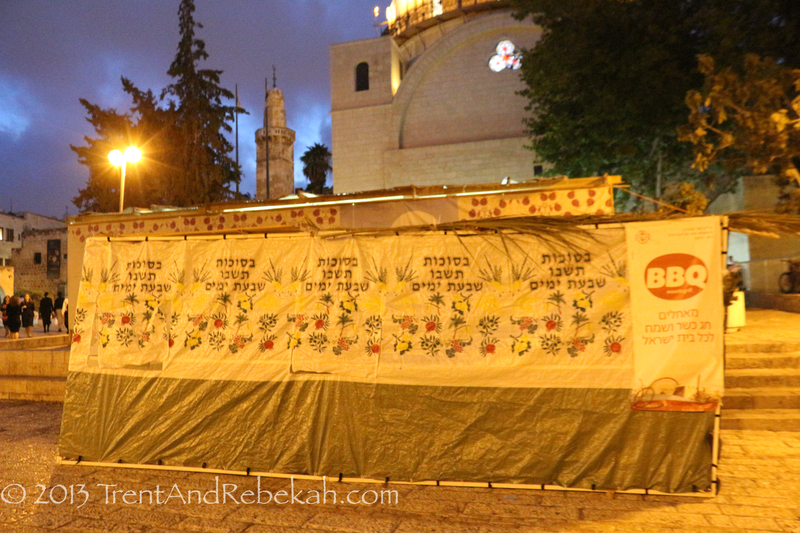 First, the construction of the wall is interesting in that it is part of a retaining wall holding up the base of the Temple Mount. 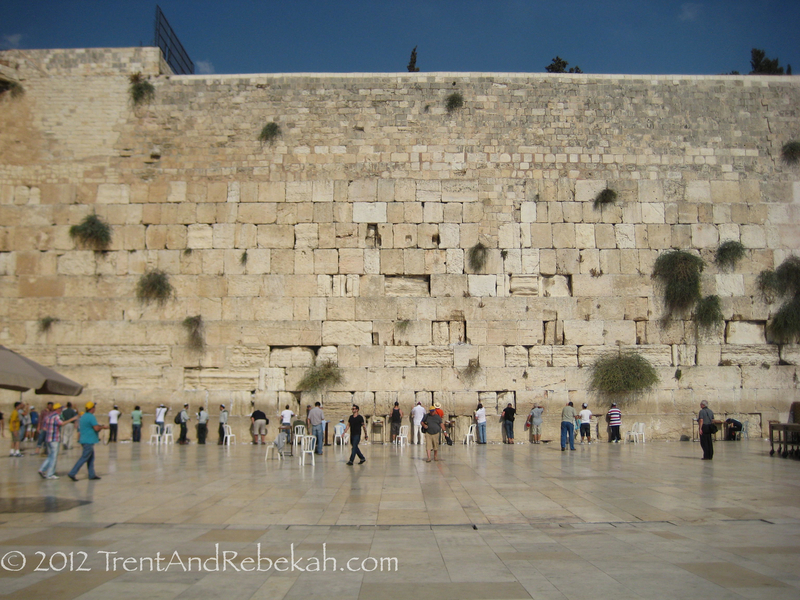 This retaining wall is from the “Second Temple,” as it is commonly called, reconstructed by Herod the Great (around 19 B.C., possibly finished at a later time). 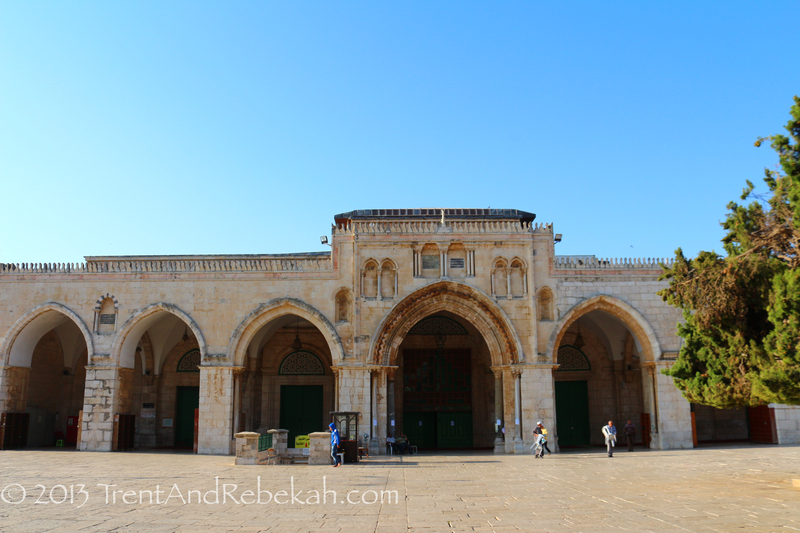 The actual upper surface of the Temple Mount is not to be accessed by observant Jews, as somewhere on this upper surface, the actual temple would have resided. This temple was destroyed by the Romans in 70 A.D. Not knowing the exact location of the temple and it holy places may cause one to tread upon the sacred ground only the High Priest could access. At a minimum, there are also purification practices which must take place before entering the temple area. 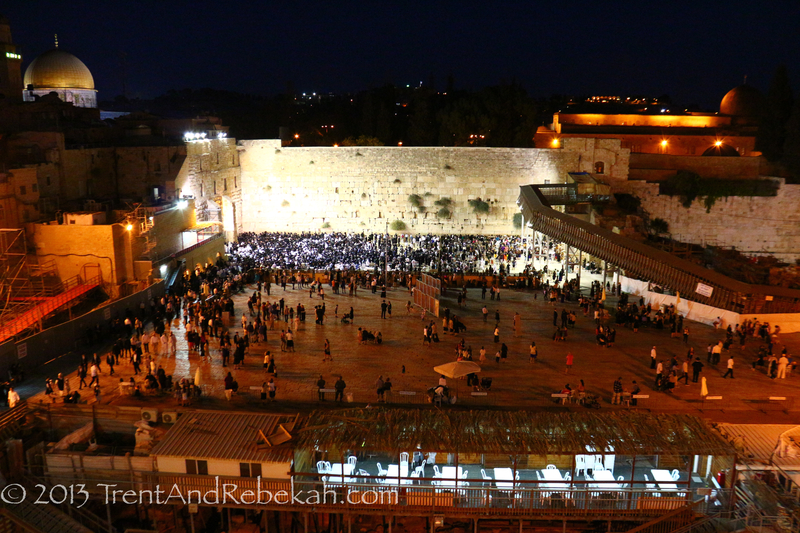 Modern secular Jews can ascend to the Temple Mount freely, if they desire. Given these conditions, this is why the wall has become the active sacred worship site for modern observant Jews. Next, the Temple Mount and Islam. Up on the temple mount, there are quite a few items central to modern Islam. 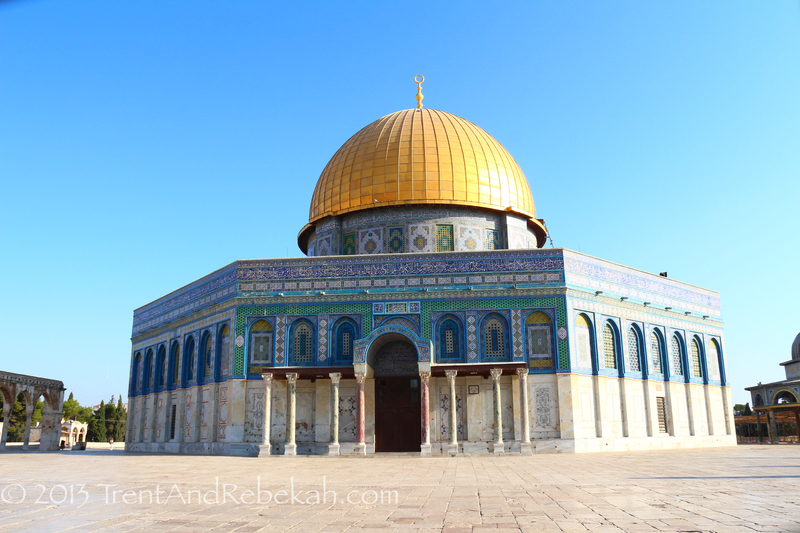 First, what is said to be the most photographed icon of Jerusalem, the Dome of the Rock. Contained within this dome lies a section of ancient chiseled bedrock, commonly called the “Foundation Stone.” This stone actually has significant traditional meaning to Judaism, Christianity, and Islam. For Judaism, some believe this is the actual location of the Most Holy Place of the destroyed temple. For Christianity, if this is the temple location, is bears significance because of the visits Jesus paid to the temple grounds. 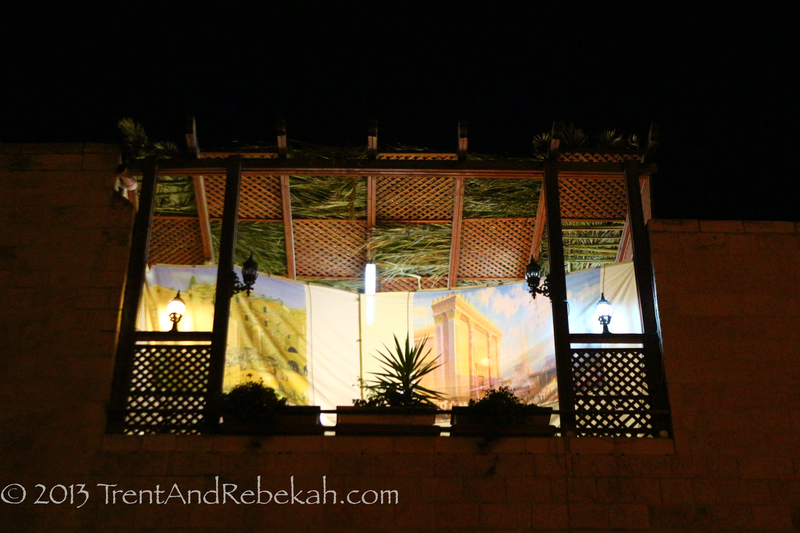 For many in Islam, it is from this spot that Muhammad ascended into heaven. The qualifiers of “some” and “many” are used here. 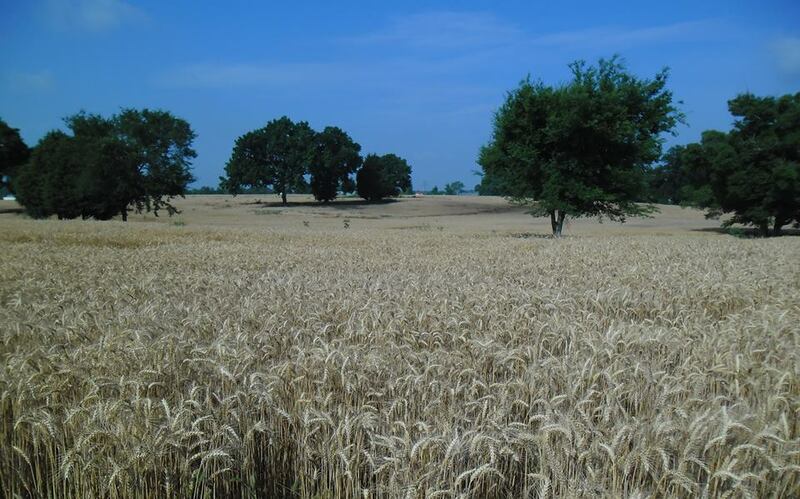 If you do any reading on these traditions, you will see that there is debate among members of all these religions as to exactly where and how all of these events transpired for their respective traditions. Also, there are many (many) more traditions associated with these spots, these are just the most well known. To refocus on Islam and the Temple Mount – today when you visit or read about the Temple Mount, it is usually the Islamic history and culture that is noticed and pondered. The Temple Mount is actually under control of an Islamic Waqf (an Islamic Trust), while Israeli police provide security for the site. Because of this, along with the presence, design, and artistry of the Dome of the Rock and the Al-Aqsa Mosque, Islam comes to the forefront when visiting the Temple Mount. The Al-Aqsa Mosque is located across from the Dome of the Rock. It is one of the world’s oldest mosques and is considered the third holiest site of Islam. It has a capacity for over 5,000 worshipers and has held its historical significance in Islam since the late 7th century A.D. These icons are some of the foremost to the world’s major religions. They provide an interesting backdrop to these cultures that can at times be so different, yet share the same icons, and find themselves at such a close proximity.